Today, Google announced that its Chrome browser would be coming to iOS devices. This was welcome news for many using Chrome on the desktop, as it would bring syncing of tabs, passwords and more over to their mobile devices. Unfortunately, Chrome faces some steep challenges on Apple’s platform, which mean that it will likely never be half the browser it is on Android. I mentioned the two biggest hurdles facing Chrome during the keynote this morning. 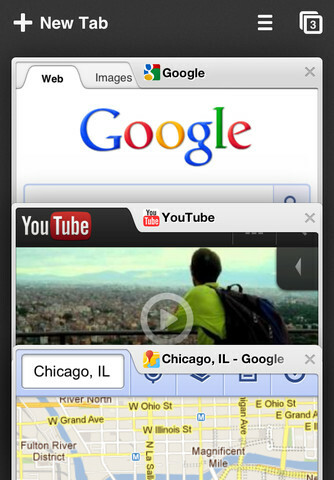 See, Apple uses Nitro in its own Mobile Safari browser, which is based on Webkit, just like Chrome is. But third-party browsers can only use what is called a UIWebView, which is like a window that allows developers to display content using all of the code that makes up Mobile Safari…except for rendering engines like Nitro. The restrictions are ostensibly made to improve security in Safari, as it doesn’t allow for any third-party code to be executed there, including ‘just-in-time’ compilers, like the one used by Nitro. This is part of Apple’s overall sandboxing strategy on iOS. But this does put Chrome at a fairly severe performance disadvantage when compared to Mobile Safari for a large percentage of the web. Chrome will simply not be as fast on iOS as it elsewhere. But, much more importantly, Chrome can never be set as the default browser on iOS devices. Apple does not allow any browser besides Safari to take that slot. This means that, even if you remove it from your dock and replace it with Chrome, using it as your personal choice of browser, Safari will still rear its head when you least expect it. Since it is the default handler for URLs, it will capture and display any links that you click on in email messages, for instance. If an app like a Twitter client wants to send your link out to the system, Safari will open it, not Chrome. The power of this ‘default’ nature can’t be under-emphasized. This is an extremely important issue when it comes to casual users who may want Chrome on their iPhone, but will quickly get frustrated as they get sent to Safari again and again instead. It effectively makes Chrome an unwelcome visitor on iOS, doomed to second-class status. Only Safari has the support of the system and the prime slot as the default browser.This means Chrome will never stick as the ‘simple’ choice for those who aren’t savvy enough to realize what is happening and work around it. That is to say, most people. And don’t think that Chrome not being available as a default is going to put any pressure on Apple. The company will likely hold on to Safari as the default browser for a long, long time to come. It offers too many advantages to Apple in terms of data and control for them to open up the default slot just because users complain about not being able to use Chrome more efficiently. There are also plenty of legitimate user-focused reasons that Apple prefers to use Safari as the default browser. It controls the development, it controls the features and it can integrate it more fully into the rest of iOS through various sharing tools and deep API hooks. Simply put, Safari on the iPhone is so good because it is so deeply integrated, and being the default browser is a big part of that. Apple could very well argue the case that making Safari default ensures the absolute best user experience for its customers. And it very well may have to use that argument at some point, because the only way I see Safari’s default status being altered is by a forcible act of litigation. If the U.S. Department of Justice takes an interest in whether Apple is leveraging its legal monopoly in an abusive way with regards to Safari, it could end up in a similar situation as Microsoft was with Internet Explorer in the 90s. That’s not to say there aren’t some things to like about Chrome for iOS. The ability to sync your tabs, passwords and profile data over from your desktop version of Chrome is great. 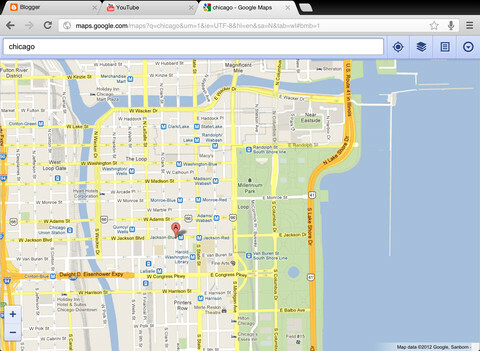 As is the way it handles tabs and incognito browsing, which Google showed off to great effect during the demo. The tabs fan out like ‘a deck of cards’, making it easier to see what you’ve been browsing. These tabs synch across from any other copies of Chrome that you have also signed in to. Chrome will also sync bookmarks, passwords and omnibox data to any iOS devices. You can even send pages from Chrome on your computer out to your devices and they’ll be cached for offline browsing, which is very cool. There are also nice touches like voice search, which is technically available on iOS via dictation, but is made simpler in Chrome. Ironically, today’s release of Chrome for iOS devices on version 4.3 and up means that it’s actually available on far more devices there than it is for Android, where only a handful of devices can run it. Unfortunately, due to restrictions placed on it by Apple, it will not be nearly the browser it could be. Users will just have to decide for themselves whether the bits of Chrome that did make the translation are worth the downsides. Chrome for iOS should be available for download here, or will be soon.